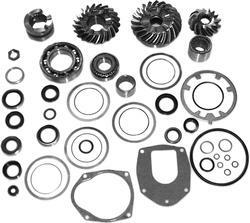 For a complete listing of all Upper Gears and Upper Gear Kits, click HERE. 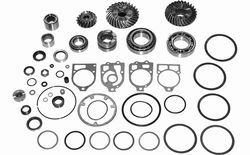 For a complete listing of all Lower Gears and Lower Gear Kits, click HERE. 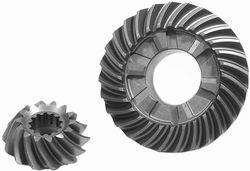 These sets are "gears only". 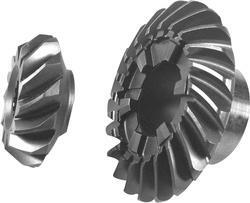 They only include the lower bearing. 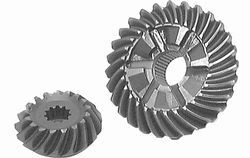 The Kits below are COMPLETE Upper Gear Kits. 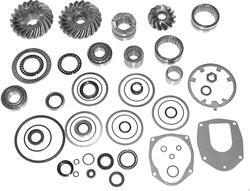 Gear Sets do not always include seals, gaskets, shims or bearings. 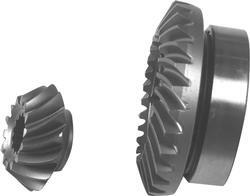 They often only include the pinion and forward gears. 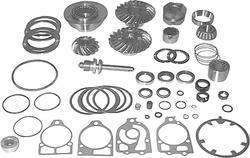 possibly other items such as a clutch, spool, tab washer. They usually include all three lower gears. 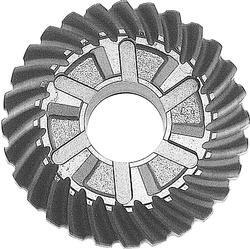 This allows for a higher overall drive ratio. 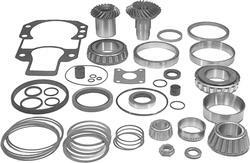 set screws, pinion nut,check ball and spring, thrust washers and shims. 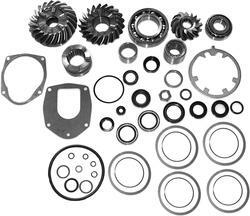 all o-rings, keepers, set screws, pinion nut, check ball and spring, thrust washers and shims. 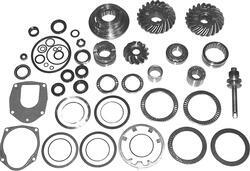 Note: These kits do NOT include clutch, shaft or shift yoke.